As the NHL makes its annual push to the All-Star break at the end of January, two Original Six teams will host a trio of marquee games over that time. The Toronto Maple Leafs and New York Rangers set to play in three top-priced NHL games over the next three weeks, while the surging Columbus Blue Jackets, who seek their NHL best 18th consecutive victory this Saturday, and Detroit Red Wings also make the list. The NHL's oldest rivalry will write its latest chapter on Saturday as the Maple Leafs host the Canadiens at Air Canada Centre. 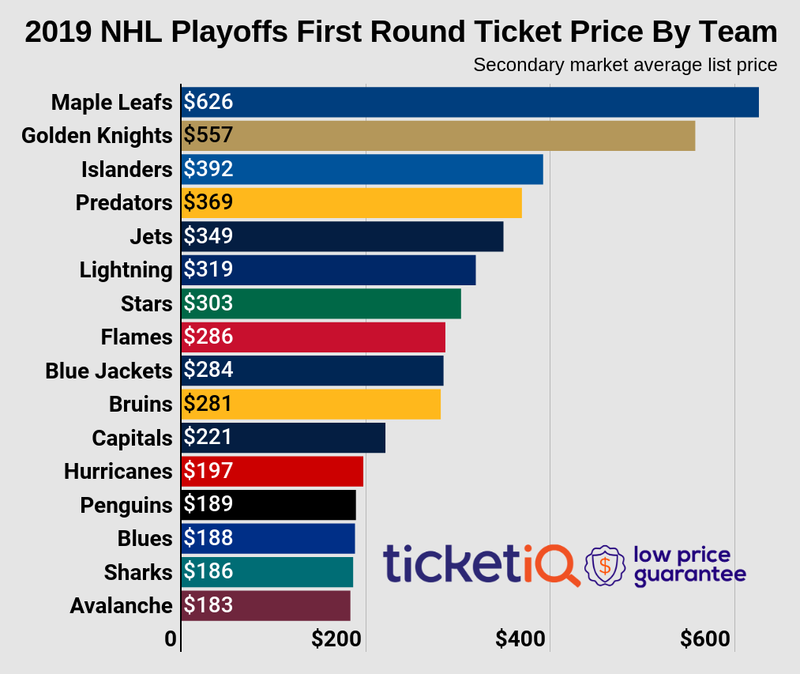 As it stands now the average resale price for Maple Leafs tickets against the Canadiens is $432 and the cheapest tickets start from $165 each. It will be the second most expensive remaining game at Air Canada Centre this season, trumped only by a February 25 rematch with the Canadiens ($508 average). Six days after welcoming the Habs the Leafs will travel south to midtown Manhattan when they take on the Rangers at Madison Square Garden. The game serves as the second most expensive matchup in January, with Rangers tickets at MSG averaging $423 and the get-in price listed from $123. With the midway pole quickly approaching the Rangers look to keep pace with the Blue Jackets and Penguins in a crowded Metropolitan division. History may be in the cards on Saturday night when the Blue Jackets return home to host the Rangers. With 16 straight wins in the bank, the Jackets can tie the NHL record of 17 straight wins set by the 1992-93 Penguins with a win over the Capitals on Thursday night. The 18th consecutive victory could come on Saturday, and fans will be paying up for Blue Jackets tickets. With an average resale price of $360 and a $112 get-in price, Saturday's game is the most expensive Blue Jackets game TicketIQ has ever recorded. The defending Stanley Cup champion Penguins will travel to Motor City on January 14th for the fourth most expensive NHL game this month. The Red Wings have struggled this season, going just 16-16-5 for a seventh place spot in the Atlantic division. They'll be tested by the 25-8-5 Penguins, who own the second best record in the league behind the Blue Jackets. Red Wings tickets against the Penguins own a $337 average and $137 get-in price. Rounding out the top NHL games of the month is a January 21 game between the Leafs and Senators in Toronto. With the Senators skating to a 20-13-4 record and good enough for a second place spot in the Atlantic, they'll hope to continue their strong play when they travel to Air Canada Centre later this month. Leafs vs. Senators tickets currently own a $318 average and $85 get-in price.